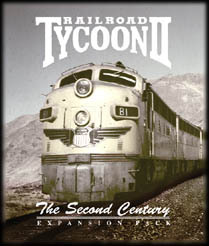 Railroad Tycoon 2: The Second Century is an expansion pack that has a planned release date of April '99. The EP is being created by PopTop Software and published by Gathering of Developers. Eighteen all-new scenarios divided into three distinct historical eras are sure to delight today's modern PC gamer. Thousands will travel across continents and across time with this exciting new expansion pack and surely, nothing could be finer. Ride the rails back in time! All aboard in war torn Europe. In the passage from 1939 through 1950, stop along the way to do your part for the war effort. 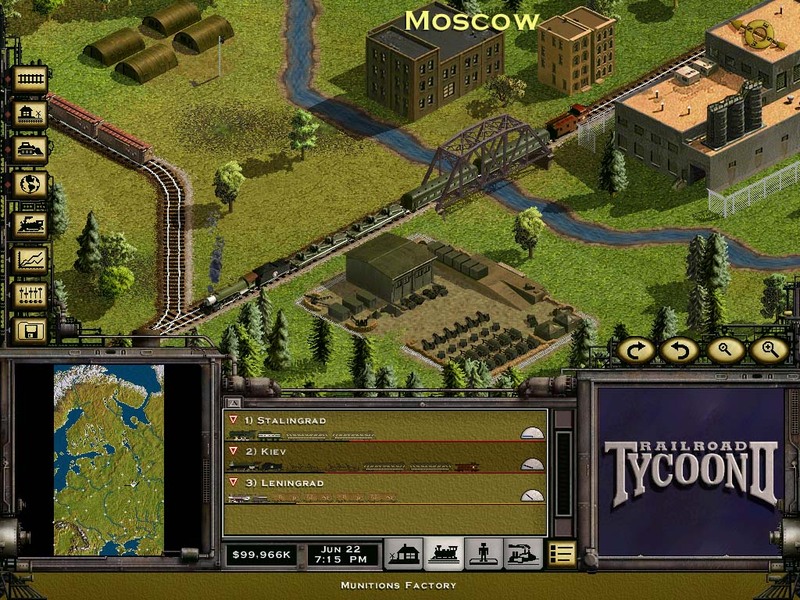 Deliver troops and supplies to the besieged Allied front. 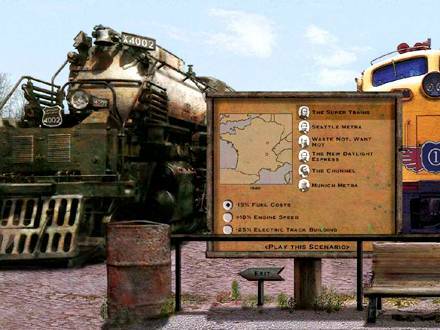 Rebuild the British rail system after its destruction in the Blitz. Protect Mother Russia from the advancing Germans. Only a foolproof rail system can spell victory for the Allies! Modern times require progressive thinking! Next stop, the Modern Era. 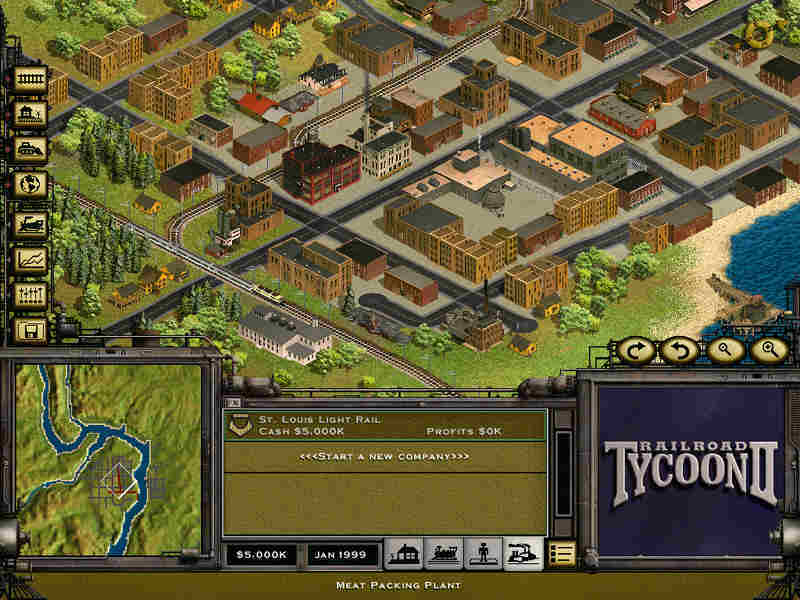 Solve the transportation problems facing the modern world from 1950 to 2005. Help build a modern Metra passenger system for Munich. 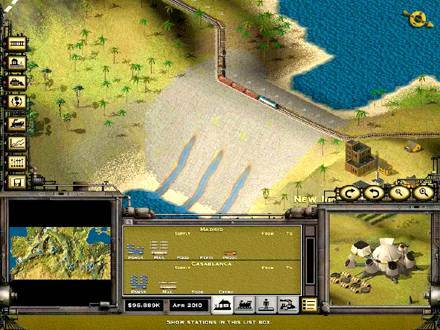 Manage the suboceanic Chunnel system between England and France without drowning in debt. Be the visionary who links two of America's greatest cities, Los Angeles and San Francisco, with a long awaited high speed rail. Last stop, the future! From 2005 to 2030, worldwide flooding and melting ice caps wreak new havoc for the modern railroad tycoon. The United States is a watery wasteland. The Mediterranean is an empty basin with a blossoming Eden. Antarctica is a promising agricultural center. 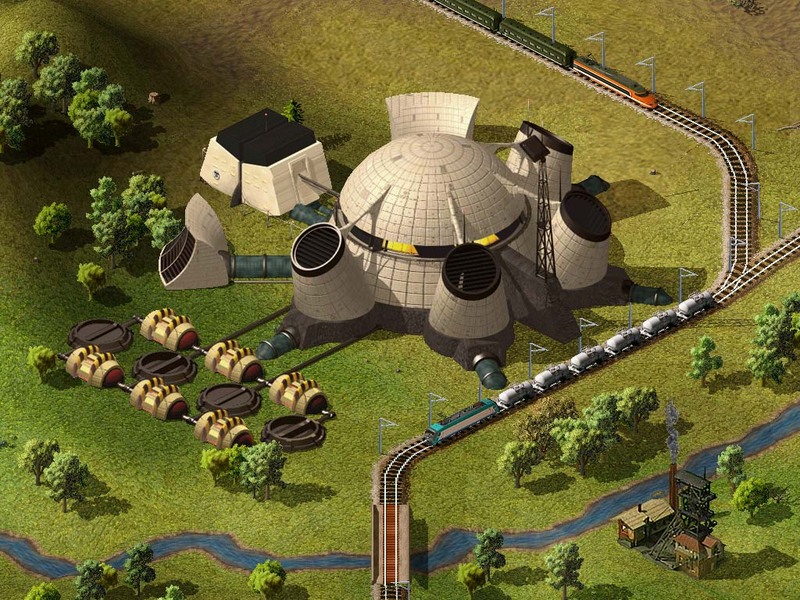 The heady task of providing rail systems for this strange and exotic new world falls upon your shoulders. No doubt, only the most ingenious solutions will do. One of the wonders of the world? This fine game boasts new buildings! Weapons plants, army barracks, and a distillery. Melted Antarctica, flooded United States, dried up Meditterranean, these and other new landscapes abound! New engines! 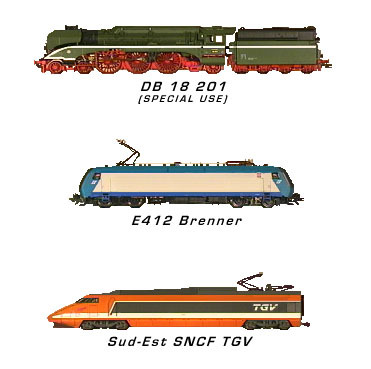 The French TGV, the ICE Bullet, Eurostar, the Brenner 412, enjoy them all. 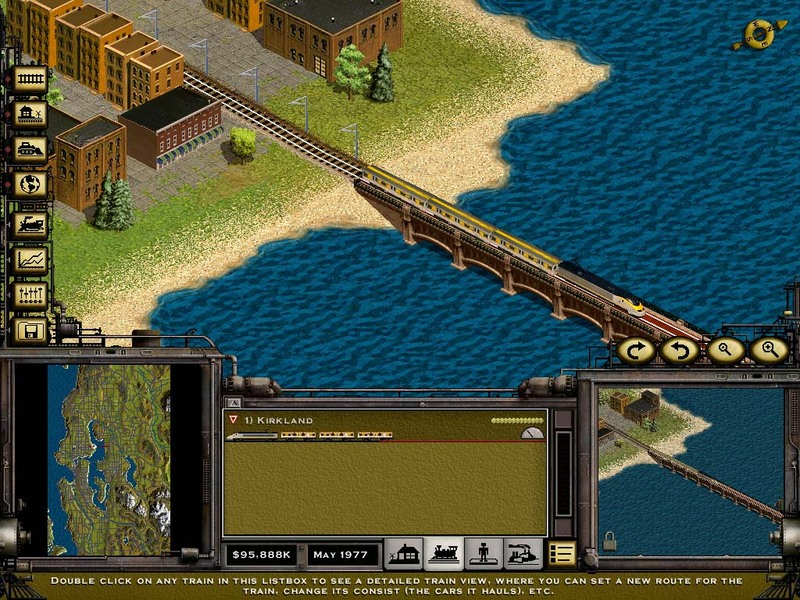 Presenting new cars such as Metra passenger cars,troop transports, and weapons flatbeds! New architectural elements such as suspension bridges allows the safe crossing of open bodies of water. The view is more inviting thanks to highly detailed maps with closer perspectives. Over 20 exceptional stand alone scenarios, including multi-player play! There are three separate campaigns in Second Century, each with it's own distinct gameplay. In the first chapter, World War II and the Aftermath, the goal is to effectively manage supply lines in different theaters of the Good War. Expect some intriguing scenarios with unusual victory conditions, such as freighting supplies to your comrades on the Russian front. The better you do, the longer they hold out. Do a poor job, and your rail lines will vanish as the Germans advance. During this chapter, you also help rebuild the postwar economies of the Soviet Union, West Germany, and Austria. The chapter concludes with the rise of communism and start of the Cold War. 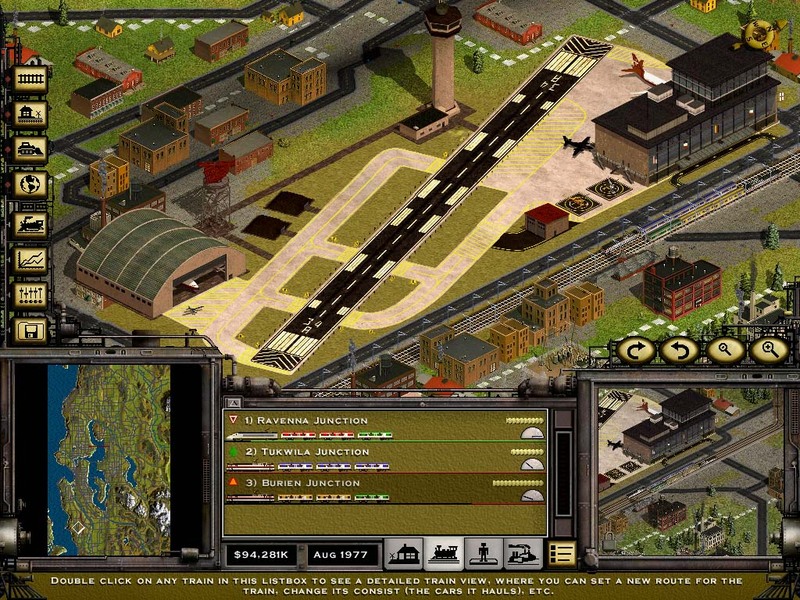 In fact, the final scenario is set in Berlin. The Postwar Boom is next, taking you from the 1950s to the turn of the century. The world's economies are booming, but railroads are in decline, due to the loss of passenger revenue and the expense of replacing steam locomotives with diesel and electric engines. Withstand the change, and you'll get the chance to manage new passenger-friendly light-rail systems. Furthermore, you'll also get to play around with The Chunnel, which connects England and France, and even remove toxic wastes from Three Mile Island--while avoiding protestors. The last chapter, Geocore, could be subtitled Waterworld. The Mediterranean has been dammed and reclaimed. It's up to you to service this new region by train. Unfortunately, this technological marvel causes an environmental disaster of biblical proportions when the dam's Geocore power generator is attacked and destroyed by terrorists. Horrible global warming ensues, causing the polar ice caps to melt and flooding massive areas of the globe. As one of the world's industrial leaders, you must rebuild your rail empire from scratch and aid in the reconstruction of America and the world. 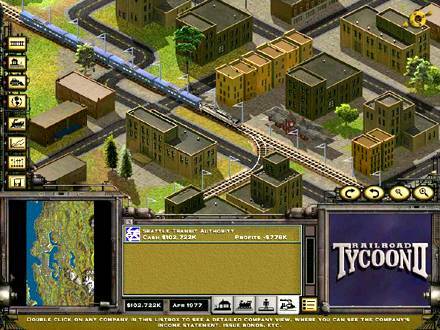 Just be sure you lay some track near PopTop's offices, located on the beautiful new Bay of St. Louis! The Geocore Power Plant » Future - In the future, the GeoCore power plant taps the Earth's core for energy. 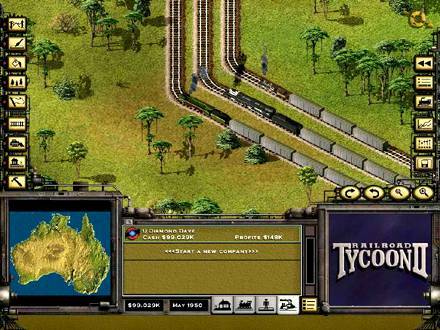 You must implement the rail system that supports this unusual industry. City Based Scenarios » Metra - Today's urban dweller calls for efficient and effortless travel. 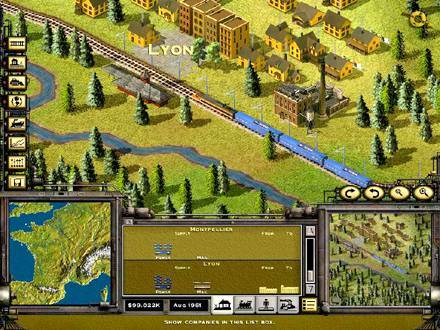 The all-new Metra scenario will challenge you to create a passenger rail system for the municipality of Munich. Bridge Span » Bridge Span - The Eurostar crosses spanning bridge over Lake Washington. 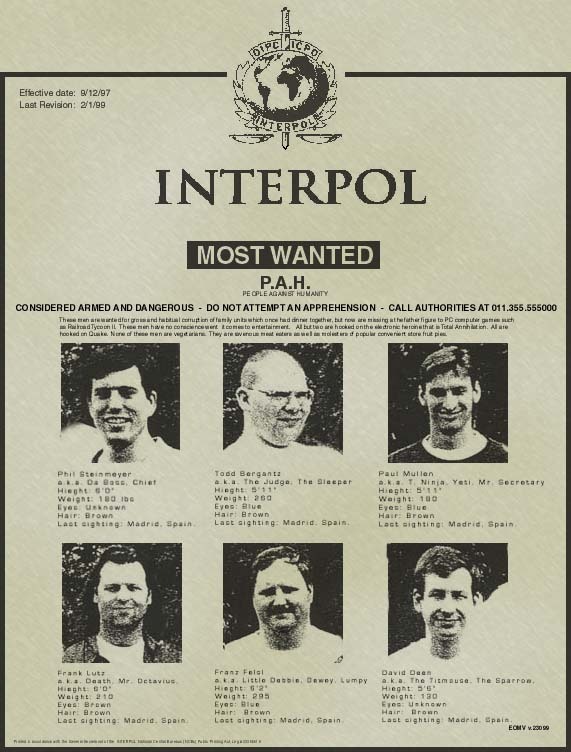 Airport » Airport - Once they get off the plan they have to go somewhere don't they. Mediterranean Dammed » In the early part of the 21st century in The Second Century, the Mediterranean is dammed at Gibraltar and drained. Wonder what would happen if that dam broke? Campaign Screen » Pick your poison here, including a hypothetical campaign that ends in 2030! 160 mph! » Here's The Second Century's TGV bullet train buzzing past Lyon--chugging at 160 mph. The Big Boy! 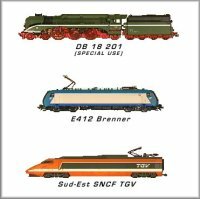 » The smallest train is the Eight-Wheeler, circa 1870; in the middle is the Big Boy, circa 1945; at bottom is the brand-new DB18-201, designed in Germany. Seattle Light Rail » Ride a light rail through downtown Seattle in The Second Century's Seattle metro scenario.